Richmond Kentucky’s Superior Onsite Computer Repair, Network, and Voice & Data Cabling Services. Computech Technology Services provides high quality onsite computer repair, network and voice and data cabling services in Richmond and throughout the entire Madison County area including the surrounding cities of Berea and Mount Vernon, and all the way north up to Lexington KY. Our mobile technicians are available daily to service literally any computer or network need that you may have from common PC repair services to full network installation, configuration, troubleshooting & repair. Our experienced, industry certified technology field service engineers are available to visit your site today, so give us a call and see why so many Madison County businesses and residents rely on our superior onsite computer repair, network and tech support services to keep their PC’s and networks running like new! (859) 780-3020. Richmond KY’s Best Onsite Computer Repair Services. Computech Technology Services provides professional onsite computer repair services in the city of Richmond and throughout Madison County. Our friendly, experienced computer repair technicians are available today to visit your location and perform any troubleshooting, diagnosis and repair that is needed on your personal or business laptop or desktop PC. Whether you are having issues connecting to the internet, having hardware errors due to a failing motherboard, RAM or Hard Drive, or simply need virus, adware, or malware removal and optimization, we have you completely covered, quickly and professionally. Our technicians are experienced, reliable industry professionals, fully background checked and certified to provide only the highest quality, affordable onsite computer repair services to your home or business. Why lug your desktop or laptop PC into a local repair shop when you can have a true professional computer repair technician come directly to you? The choice is clear, give us a call today (859) 780-3020. Richmond KY’s Superior Network Installation, Repair, and Voice and Data Cabling Services Contractor. Computech technology Services provides superior network technology services in Richmond and throughout the Madison County area. 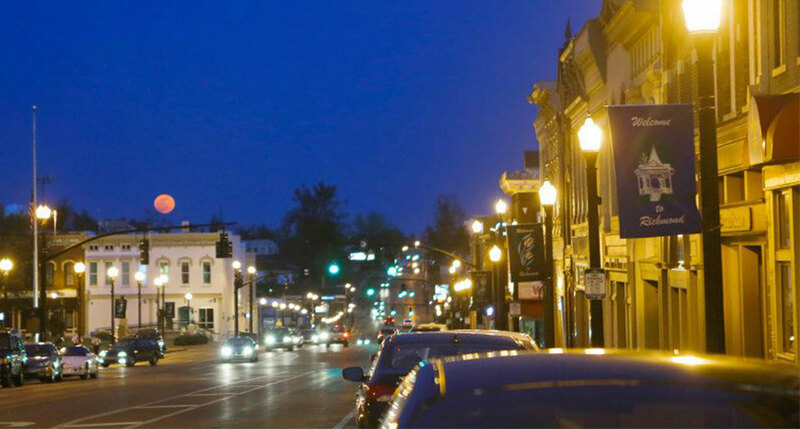 From Mount Vernon KY to Lexington KY, we provide the highest quality onsite network services available. Our industry certified networking pros can perform full installation, configuration, troubleshooting and repair services for any type of location, no matter what your needs are. Whether you need repair of your slow and sluggish network, or configuration of your new router, we have you covered. Our low voltage inside wiring technicians perform full service voice and data cabling, whether you need troubleshooting of your existing cabling, or cabling drops pulled to support your expanding network, our cabling pros are your top choice for professional, certified high speed results. From telephone and data jack repairs, DMARC extensions, modem testing, switch replacement, and building gigabit infrastructure from 1 to 1000 drops, our networking professionals are available and ready to visit your site today. Give us a call and find out why so many local Richmond and Madison County businesses rely on our top rated network and voice and data cabling services to keep their network fast and strong (859) 780-3020. Richmond Complete Onsite Voice and Data Network Installation, Diagnose & Repair Services. Cat5e & Cat6 Data Cabling Throughout Richmond KY.
Richmond KY Structured Cabling Services. Richmond Kentucky Point of Sale Network Diagnose & Repair Services. Since 2008, Computech Technology Services has been providing the highest quality onsite technology services to our satisfied clients in Richmond and throughout Madison County. Our on demand information technology services are in use and applicable to a multitude of industries and locations, saving our clients money and keeping their equipment up and running like new with no long term contracts or monthly fees. Our services are available immediately and are pay as you go, so you only pay for the services you need, and only when you need them, with no monthly maintenance costs. Give us a call today and let us put our technicians to work for you! (859) 780-3020.